The site of Australia Square was the product of a progressive and most extensive protracted site consolidation process which brought under one ownership an entire city block, involving over 30 different properties and more than 80 land titles. The project aimed at bringing a new openness into the congested centre of Sydney with a high rise tower on an open plaza area. 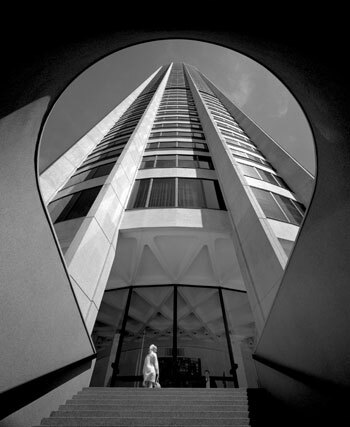 The 13-storey, rectangular Plaza Building, was completed in May 1964 and the 50-storey, 171 metre circular high tower in 1967. The project was the recipient of a RAINs Sulman Award in 1967. The precast units serve as both formwork and finish for the surrounding concrete frame. This results in the tapering fin column creating a dominant visual statement.